In her own time, Lydia Huntley Signourney was an extraordinarily popular, productive, and respected American poet. But, later, not so much. By the time Gordon S. Haight published his 1930 biography, Mrs. Sigourney, the Sweet Singer of Hartford, she had become, in his estimation, a writer of "hack work." His biographical essay on Sigourney in Notable American Women, 1607 to 1950: A Biographical Dictionary (1971) while thoroughly documenting her enormous literary output, fairly oozes with contempt. But, as Sandra Zagarell notes in her own introduction to the work of Sigourney, "The low esteem in which public literature--and most women writers--have long been held has allowed twentieth-century commentators to repeat with contempt her antebellum sobriquet 'the Sweet Singer of Hartford.' Yet her great success and the seriousness with which she pursued her vocation make it worth our while to explore both the nature of her appeal and the potential, as well as the limits, of popular antebellum writing." As Zagarell suggests, it is "worth our while" to get to know at least a little about Signourney's work. 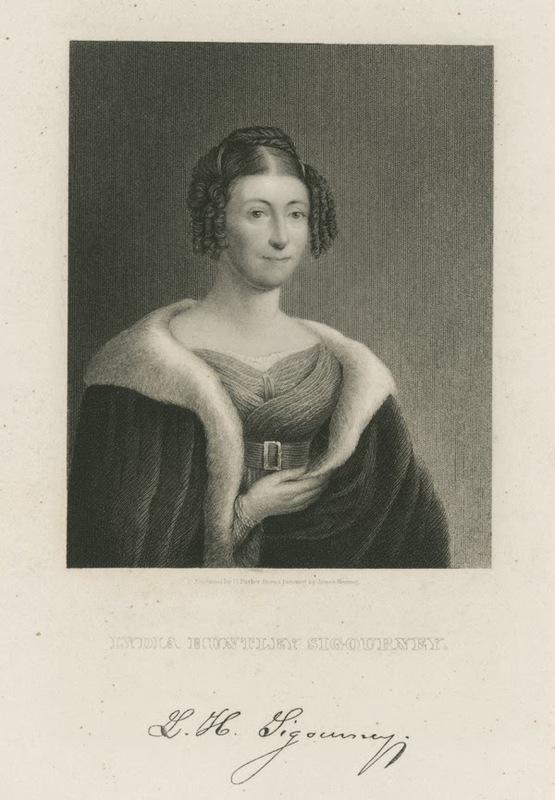 Born in Norwich, Connecticut, in 1791, Lydia Huntley was not the child of wealth and privilege. She was the daughter of a gardener, but she was able to attend a private school with the assistance of her father's employer, a widow, and after her death, members of her wealthy Lathrop family and influential friends in Hartford continued to support Lydia Huntley's education. After her formal schooling ended, Lydia Huntley was tutored in Latin and Hebrew. She, in turn, contributed to the education of others, focusing on teaching poor children, including African American students. She spent the years between 1811 and 1819 as a teacher in a variety of small schools she established. She also wrote and published Moral Pieces in Prose and Verse (1815). 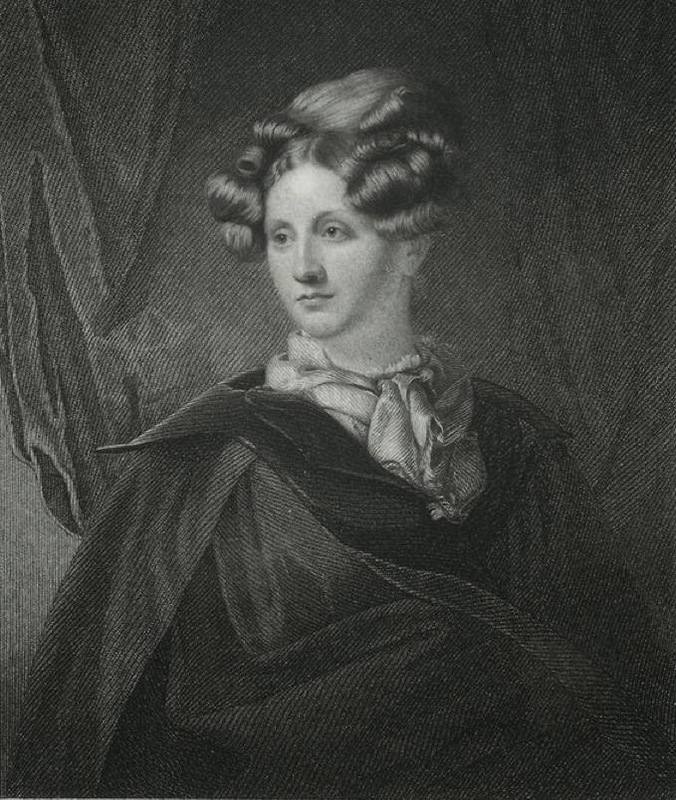 In 1819 she married Charles Sigourney, who "allowed" his new wife to write--only in her "leisure" time--and to publish, but only anonymously, because he objected to "public authorship." At first she used the proceeds of her writing to support a variety of charitable causes: temperance work, peace societies, the Greek war of independence, and missionary work, especially among the Native American Choctaw and Cherokee peoples. But in 1833, things changed. Her husband's business declined, her parents' financial situation also grew dire, and she was identified as the "anonymous" author of a conduct book, Letters to Young Ladies, By a Lady. From this point on, Lydia Huntley Sigourney took charge of her writing career. She published under her own name, sold articles to popular magazines, negotiated the terms of her literary contracts, and even managed to get her own books adopted as school texts. As the disapproving Haight observes, "she set out frankly to pursue literature as a trade." But even the grumpy Gordon Haight concludes his essay on Sigourney by acknowledging that she must be "remembered as one of the first American women to make a successful career of literature." Lydia Sigourney's literary output is astonishing. For her bibliography, click here. Much of her work is available through the Internet Archive (click here--if for no other reason than to get a sense of her productivity) or via Google Books. I'm particularly interested in conduct books for women, so you might like to begin with her Letters to Young Ladies. Fun link: in an 1840 trip to Europe, Lydia Sigourney met with many literary figures, including Maria Edgeworth.